Swiss chard is a beautiful plant as well as a nutritious green. 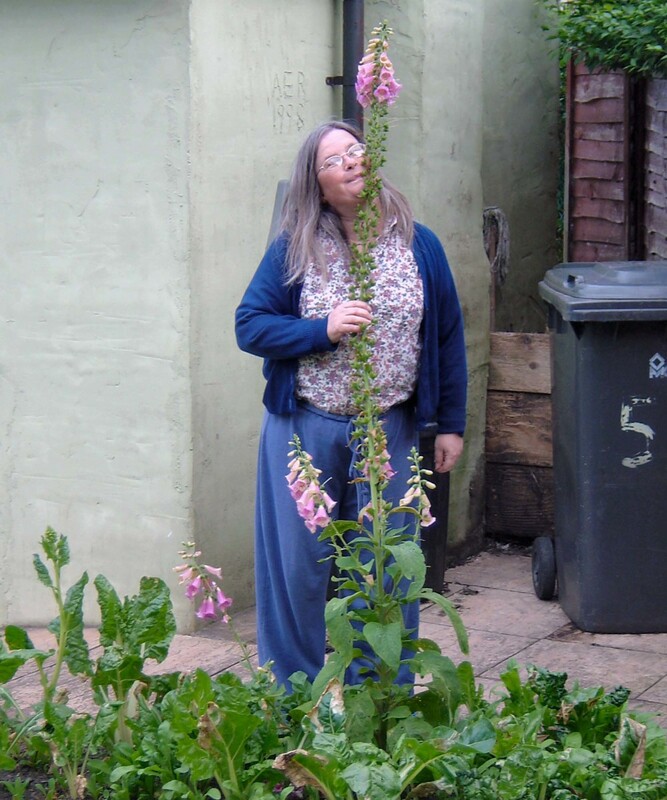 It could easily be grown as a showy plant in your flower garden as an edible ornamental. Swiss chard is a member of the beet family, therefore, do not plant Swiss chard in a location vacated by beets, and don't plant beets in a location vacated by Swiss Chard. Like all annual vegetables, plant Swiss chard in soil that has lots of organic material, specifically compost, worked into it. Soil with lots of organic material, holds nutrients and moisture needed for fast growth. It will grow in full sun, but also will grow in an area with partial afternoon shade. Swiss Chard can be planted as soon as the soil can be worked in the spring because the plant can tolerate temperatures as low as 200F. It makes a good fall crop as well. It can also tolerate heat, and does not readily go to seed like other greens, so it also makes a good summer green. Swiss chard requires lots of room to grow, so plant seeds one-half inch deep and four inches apart. Swiss chard can also be planted in peat pots or homemade newspaper pots indoors and transplanted as seedlings into the garden. Swiss chard therefore can be grown the entire gardening season by planting in the spring, summer, and fall. Bush beans (but not pole beans), onions, and kohlrabi are excellent companions for Swiss chard in a vegetable garden. With the exception of mustard, Swiss chard also grows well with other salad greens of both the lettuce and the cabbage families. Once the swiss chard plants are a couple of inches tall, weed well and begin adding mulch. I usually like to start with a half inch of grass clippings followed by a couple inches of well-rotted sawdust. By mulching in this way, Swiss chard does not require any feeding. 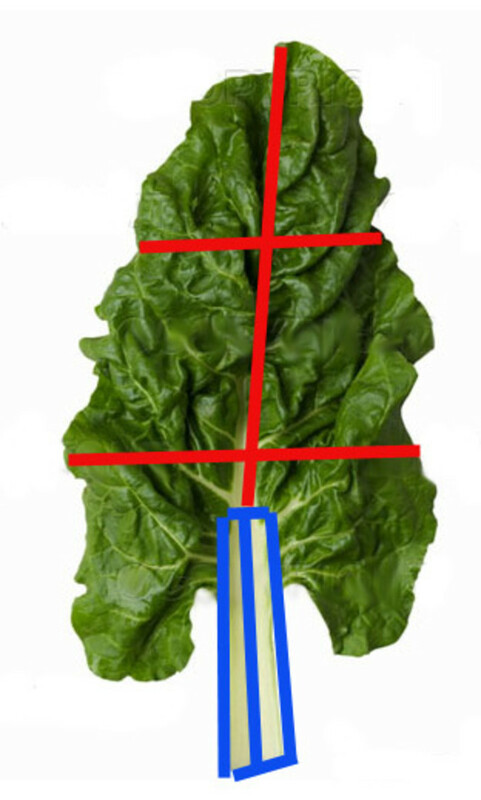 Swiss chard requires about an inch of water per week. It will not need any feeding throughout the season. The only problem that Swiss Chard may have is with cutworms. If Swiss chard is found cut off at ground level by some unknown force, cutworms are the likely culprit. Cutworms are often found in soil that was in grass the year prior, so if you plant Swiss chard in soil vacated by grass, sprinkle crushed eggshells or diatomaceous earth around young Swiss chard to prevent further damage. Harvesting Swiss chard could not be easier. Simply twist leaves from the outside of the plant regularly from mid summer until ground freezes in the winter. Plants will regrow even though all of the stems have been cut back to three inches in length. Soon after harvesting Swiss chard (to preserve nutritional value) prepare and serve Swiss chard. Rinse Swiss chard under cold running water. Don't soak it because it will cause water-soluble nutrients to leach into the water. Remove any part of the leaves that are brown, slimy, or full of holes. Slice leaves into one inch slices until you reach the stem. Discard the stems into the compost pile or allow the chickens to pick through it. Goats and Rabbits also savor Swiss chard. The healthiest method of cooking Swiss chard is to boil to free up acids to allow them to leach into the boiling water to increase the sweetness of the Swiss chard. Place the Swiss chard into a 3 quart pot of boiling water. Cook the Swiss chard for 3 minutes. Begin timing as soon as you place the Swiss chard in the boiling water. Do not cover pot when cooking card so that oxalic acids can be released with the steam. Remove the Swiss chard from boiling water and place in colander to drain. Press out excess liquid with fork and place into a boil. Add balsamic vinegar and olive oil to taste. Use in place of or in addition to spinach in vegetarian lasagna. If you are unable to use Swiss chard immediately, you can freeze it. Once the Swiss chard has been cooked and drained, squeeze out excess water and put quart size freezer bags. Squeeze excess air from the bag to prevent freezer burn and flatten bag so that you can stack bags of Swiss chard in freezer. 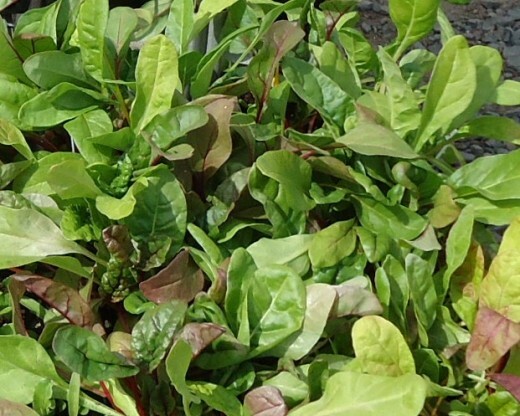 Plan to use Swiss chard within the next six months. Once Swiss chard is available again in the garden, discard any packages of Swiss Chard either to the compost or feed to chickens as a delicious treat. Do not however feed frozen Swiss chard to rabbits or goats. I agree, Lisa. I think it should be a staple in everyone's garden. 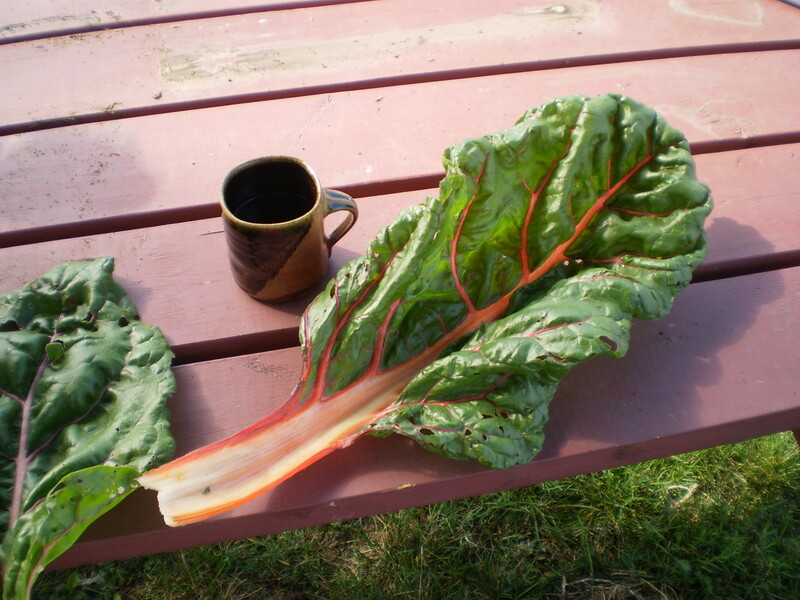 Love Chard and it is super easy to grow. It is definitely one of the "staples" of my vegetable garden now. Hi teaches12345, I have been getting into various recipes for Swiss chard too. You have reminded me of this wonderful veggie option. I do love it lightly tossed with oil and garlic. Yes, VVanNess, Even though I think Swiss chard is an acquired taste, for nutritional reasons, I definitely see it as a garden must grow! This looks wonderful. I don't think I've ever eaten this either, but I've heard wonderful things about it. :) Great job! It is certainly worth giving it a try! I would love to know if you do grow it and how much you enjoy it! Very informative! We have never grown Swiss Chard, and I honestly don't know if I've ever eaten any. Great hub!